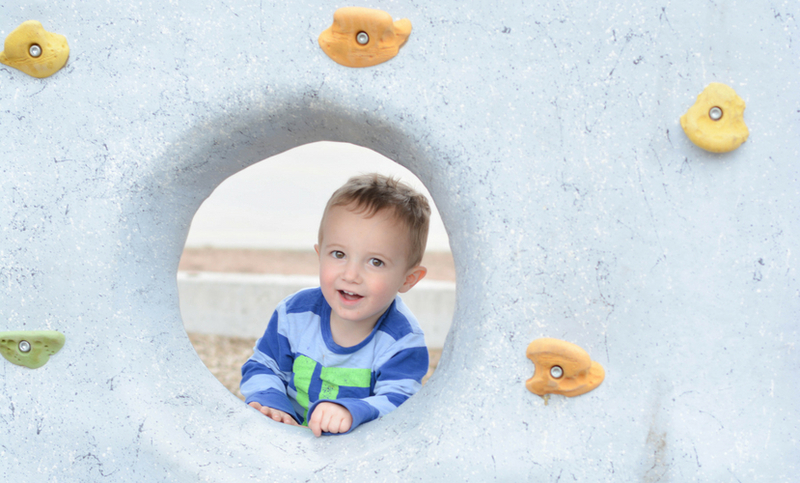 There are numerous benefits to getting outside with your toddler. Toddlers were made to be outside. To explore, get dirty, and find adventure. However, sometimes taking a toddler outside can be overwhelming. 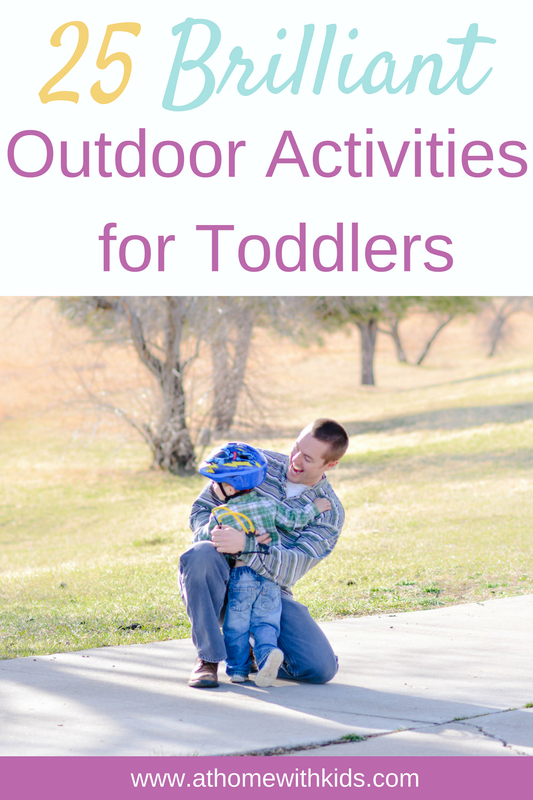 In this post, let’s look at several outdoor activities for toddlers that will take away the overwhelm and help you enjoy the outdoors with your toddler. Toddlers will benefit from the physical activity of as well as learn valuable life and academic skills from exploring outdoors. One of the greatest benefits of taking toddlers outside is the unknown. Ask questions while your child explores and let them discover the answers. Let them ask you questions and help them to find the answers if possible. Take a pad of paper and let your child draw pictures of observations made. Bring a bucket for collecting goodies and stop to talk about the treasures as you go. Try out these 25 outdoor activities for toddlers and start a new adventure today! Plant a few seeds and watch them grow! 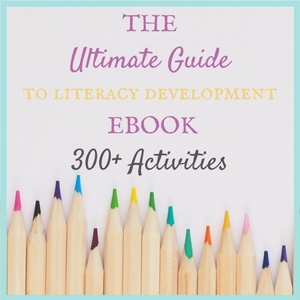 Your child will love the entire process and can do much of it themselves, from filling in the dirt, planting the seed, and watering it until it grows. 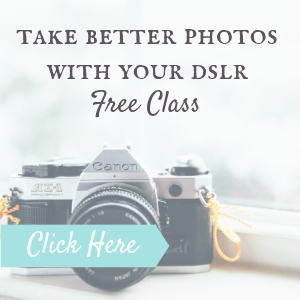 Get your child a toddler camera and take your own and enjoy taking photos together. 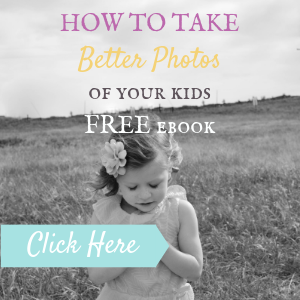 Her are a few kid friendly photo projects to get you started. Get outside with some sidewalk chalk and watch as your toddler creates a masterpiece out of your driveway. Head to a local park and leave some color on the sidewalks for the next visitors. 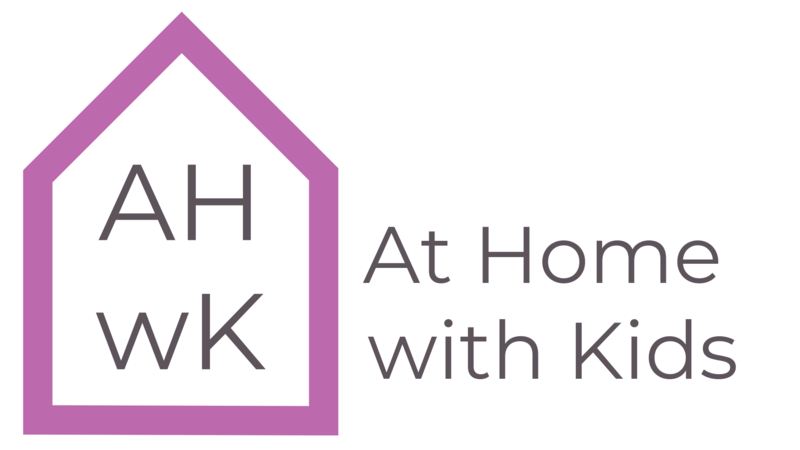 Scavenger hunts can be really fun and are easily homemade. One of my favorite ways to take a scavenger hunt with toddlers is to take a bag or basket with a list of different things to find. As each item is found you can let your toddler collect the item in the bag they brought. Find a local park that you have never been to and spend the day playing. Take a picnic too! Get outside and take a hike. This is good for everyone involved! It doesn’t have to big and you don’t even have to go far. Make sure to watch your toddler every second while you are by water. Find a small lake or pond and throw rocks in, look for animals and bugs, and enjoy the outdoors. Depending on where you live, you could do this in your backyard, at a park, near a pond, or on a trail. If you can’t find tracks, get put some play dough and make your own tracks with these fun molds. 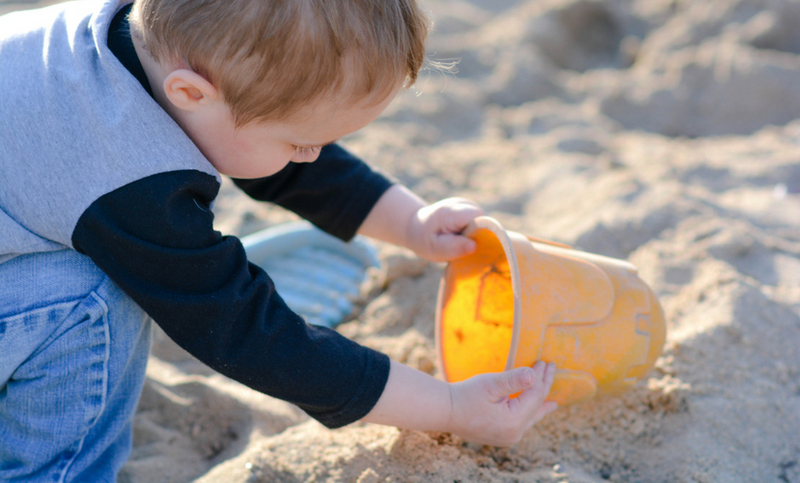 Bury a few items in your sandbox or dirt and let your child dig them up. 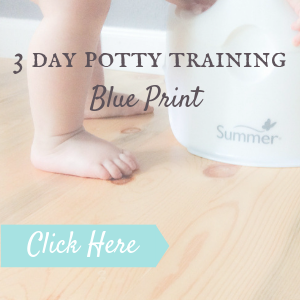 Provide your toddler with the right tools and let them get to work. These dinosaur kits are perfect if your child loves dinosaurs like mine. All you need is a little bug catcher and a magnifying glass and you and your toddler can set off to find bugs. 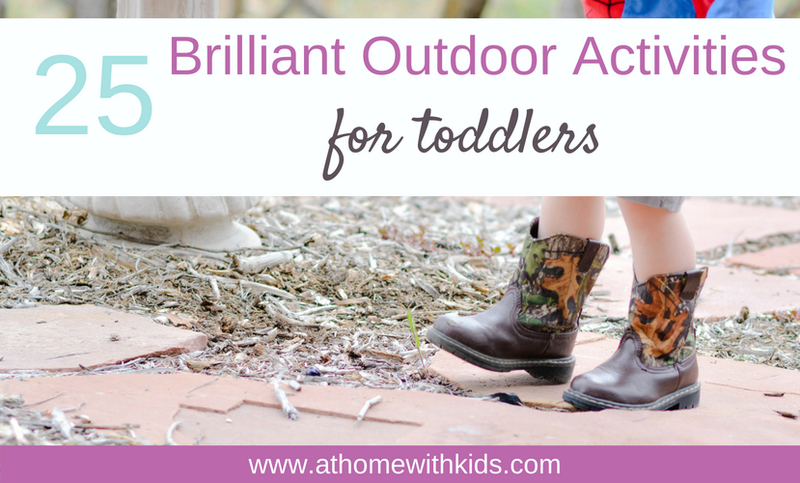 This will probably be a favorite outdoor activity for your toddler! Rake leaves, pick up trash, pick up twigs and pine cones. Let your toddler help out with the outdoor chores you have to get ready for summer. You could build something small like a birdhouse or something bigger like a sandbox. Either way, give your toddler a hammer and enjoy the task together. It will take longer, but the experience will be worth the extra time. Get a pot and some soil and go out and pick out some flowers together. Let your toddler help you plant them, water them, and choose where to display them. Water is one of the most engaging activities for toddlers and if it’s warm enough to play outside, then water play is an easy way to keep your toddler happy. You can make a water table, use a plastic swimming pool, or just bring a plastic tub outside. Give your toddler cups and spoons and let them play. Encourage them to pour and scoop and watch how they learn. Remember to watch them carefully! Gather a few smooth rocks and spend some time painting. You could have a theme like monsters, flowers, etc, or you could just put the paints out and let your toddler be creative. Most of the time all the colors will just get mixed together, but I’m sure you will treasure the rocks for years to come! If you don’t have a sandbox, you could make one or find a local park that has one. Go to your local thrift store and get a few old pots with handles (they are way sturdier than plastic pails) and a few big spoons and spend some time digging in the sand. Pick up a bird guide with lots of pictures and go on a search for some of the birds. Your toddler will love being on the lookout and you may see other creatures along the way. Get put the hose, some buckets, soap, and big sponges and have fun soaping up the car and bikes and rinsing them off. You could even bring out some toys or other things that need a bath and wash them too. Take up a new hobby with your toddler like t-ball or soccer. You will both get some physical exercise and your toddler will learn valuable gross motor skills. You can get your toddler a strider bike or get a toddler trailer for your bike and enjoy a bike ride on a local trail. 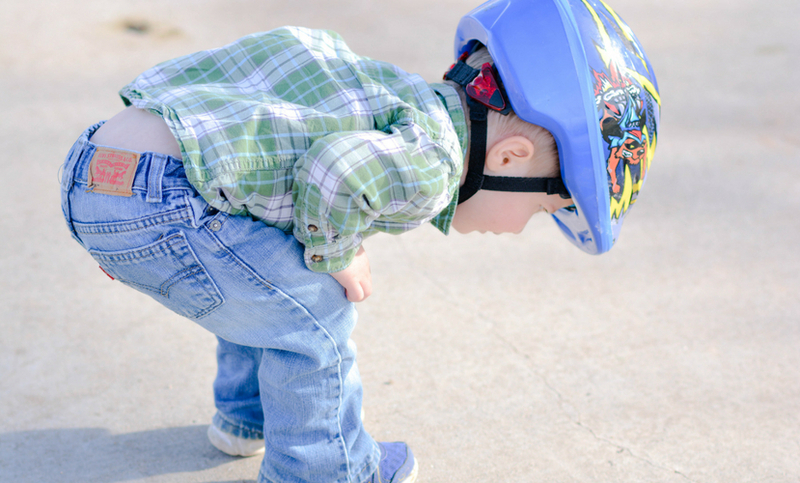 Make sure your toddler is wearing a helmet even in the trailer. This is one of my favorite activities to do with my toddler because you can make so many variations. The obstacle course doesn’t need to be complicated. You can draw a hopscotch with sidewalk chalk, weave in and out of rocks, hop over sticks, crawl through a hula hoop, bounce a ball into a bucket, etc. Just put little things together that get your toddler moving and enjoy hours of engaged fun. Similar to finding birds, you can get a tree or plant guide and see how many you can find. You can do this in your neighborhood, a local trail, a park, or a botanical gardens if you have one close by. 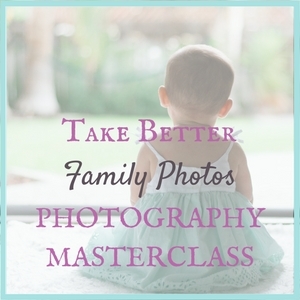 Take your camera because you will love the photos you get of your little ones looking at all the plants. Get a large piece of paper (a table cloth works great) and hang it on a fence or a wall. Get out some paint and paint brushes and let your toddler paint away! Most fish hatcheries love having visitors and will often have food buckets you can take around to feed the fish. There may also be educational videos you can watch, or other educational activities you can participate in while you’re there. Find a neighbor, someone at church, or a family friend who could use some help with a chore, such as, watering a garden or raking up leaves. 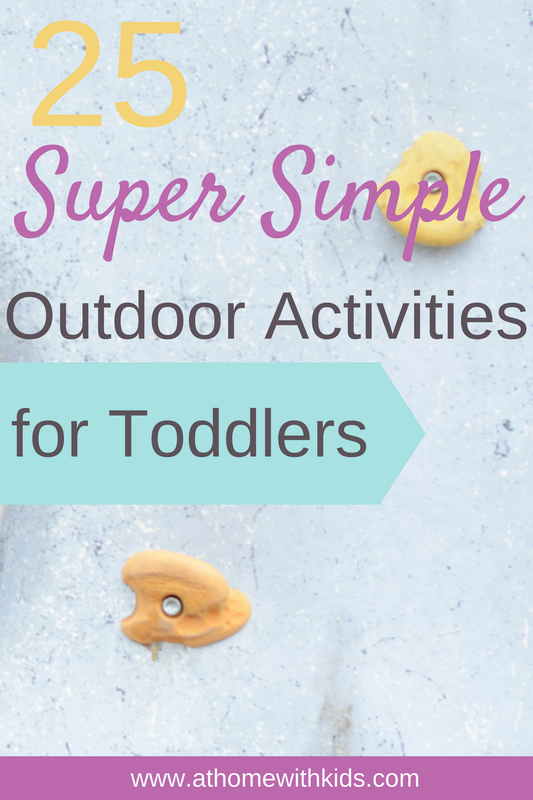 Outdoor activities for toddlers don’t have to be complicated or a hassle. It can really be pretty simple. Basically, if you add dirt, water, rocks, and sticks to your day, then you have a winning outdoor toddler activity. Enjoy the simplicity of the outdoors rather than making it an elaborate event and both you and your toddler will have a peaceful and pleasant experience. I’d love to hear your ideas. 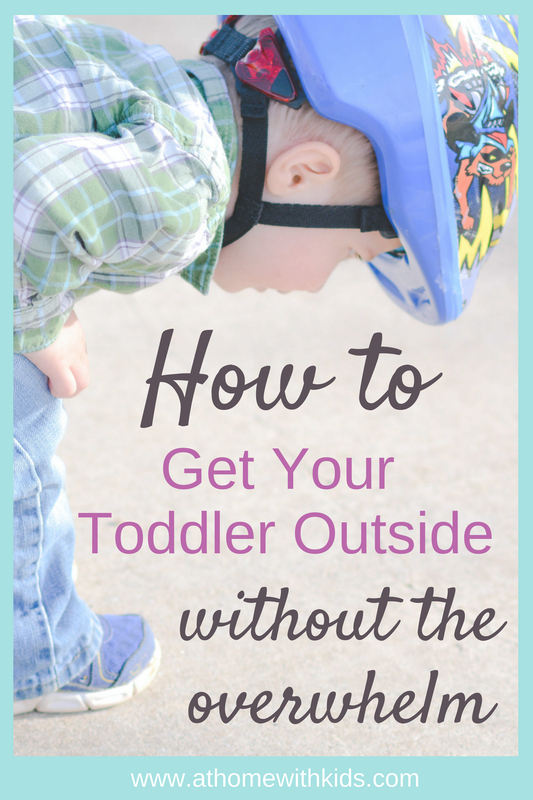 Leave a note in the comments and tell me how you get outside with your toddler. 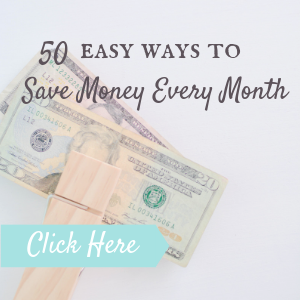 Want to have this list handy? Pin it for later! 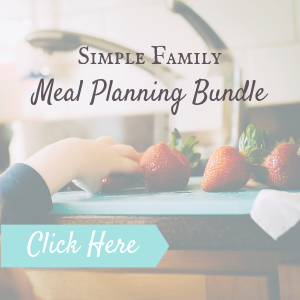 Or find other great Parenting and Toddler ideas here.